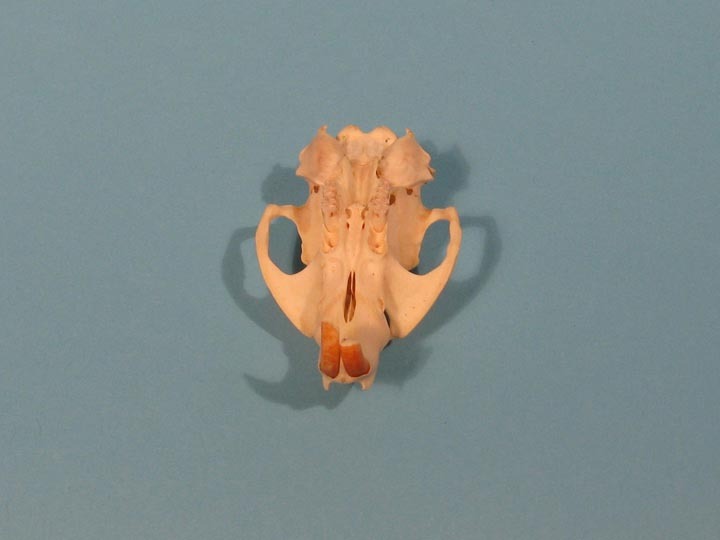 These skulls have been professionally cleaned and prepared. 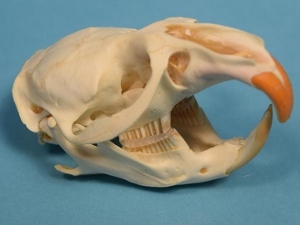 They include the teeth and lower jaw. 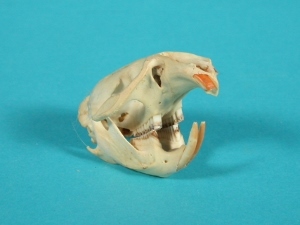 Generally, the #2 Muskrat Skulls may have a jaw that is split in two or some broken teeth - see pictures below. 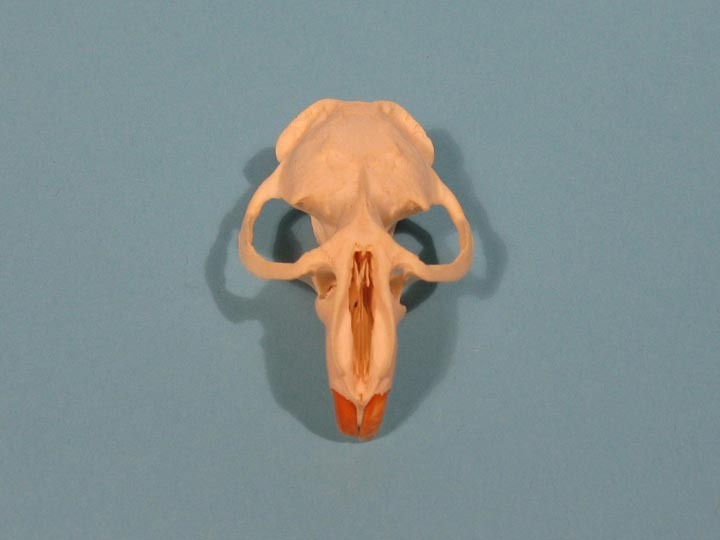 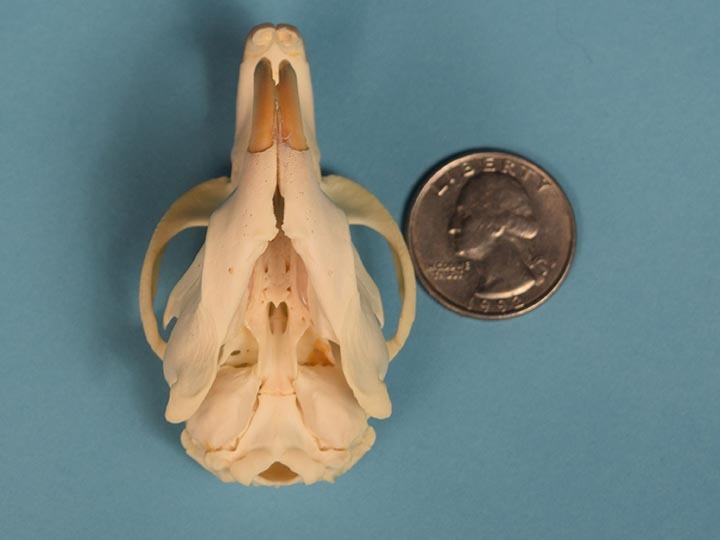 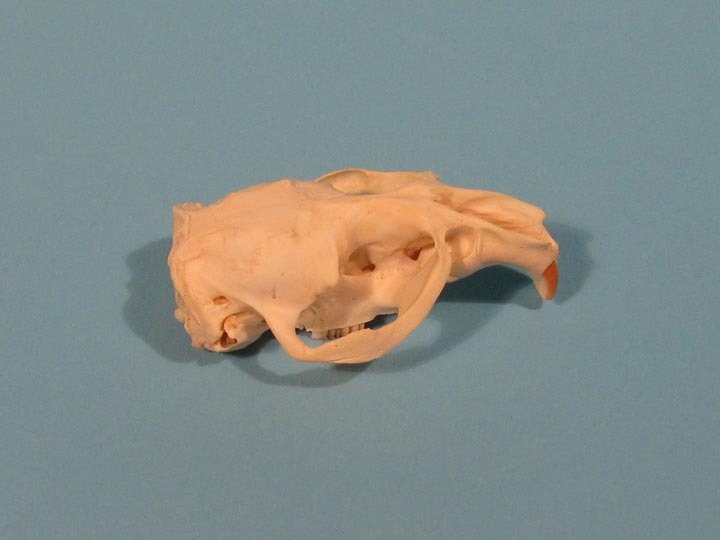 The muskrat skull tops do not include a lower jaw - see picture below.